My husband and I have lived the past year on Pensacola Beach, the most beautiful beach in the United States….. almost the world. I would say the world, if our water were always this color, but alas it changes. The photo above shows the view I woke up to every morning. I can’t believe how fast this year has gone by. Living on the beach has been a dream of my husband’s for quite some time. Our son was in college and our daughter was finishing college and soon to be on her own, what better time to live our dream. We packed everything up, sold the house and moved to the beach. I wasn’t expecting to love it, but when you open your eyes and see this every morning, how can you not? We loved living at Beach Club and recommend it to everyone. The place is beautiful, the amenities amazing and the staff is the best I have ever had the pleasure of knowing. 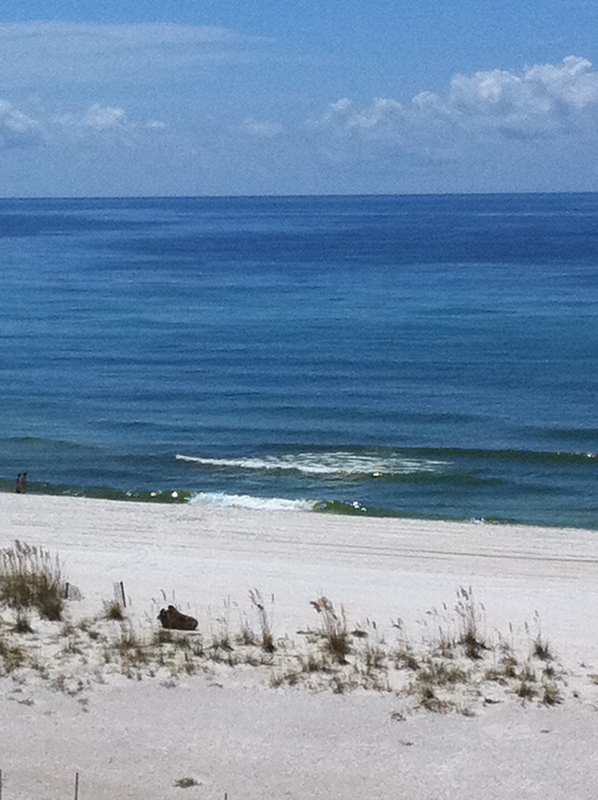 If you are looking for a place to vacation in FL, check out Beach Club on Pensacola Beach. No, I did not receive any type of endorsement to make this recommendation. It really is that great. This beach chapter in our life has come to an end we are so glad to have had the opportunity to live on this beautiful island. I would not trade it for anything in the world. Life on the beach is another world, unlike any we have ever lived in before. The atmosphere is welcoming and never in a hurry. The water calls to you, come out and play, it is so calming. Even arriving on the island is a treat, your troubles and stress from the work day seem to melt away as you cross each bridge, by the time you arrive home all seems right in the world and you wonder why you were stressed at all. If you ever have the opportunity to live on a beach or waterfront, I highly recommend it, even only for a short time as we did. We have moved and are preparing for our next adventure; it is still in the beginning stages. We have rented and moved into an older home, built in 1938. I have always wanted to live in an older home. They are so full of charm and history and character. Yes, they have their mishaps, but you go with the flow and follow the tide so to speak. I have learned to do this since living on the beach. Now, to decide if we want to renovate (I do, he not so much) or build a new home (me, ok I guess, he, oh yes!). We have always lived in new homes, being the wife of a custom homebuilder you do that a lot, and if that is our path then I want one that looks old and vintage with lots of character and charm. It seems that is the direction we are headed and I find this to be a new and fun challenge for me. I have been doing the interiors of our homes (personal and clients) for the past 20 years, while I have done parts and pieces of projects in a vintage style, I have not done and entire house. Oh the fun it will be, finding old pieces and restoring them to place into a new home. The list is endless, lighting, plumbing, doors, door hardware, floors, walls of wood, and linens, you get the point. So, while it would be fun to restore an old house, you can see I am getting on board with the new house idea too. And to think it could be “Green” too. Enjoy your life every minute of every day. If you need help creating your dream home, give me a call, or email me.